You may not have the time or patience to throw yourself into an extension project at the moment, but there are clever ways you can trick the eye and give yourself a sense of more space more immediately. Not only that but you can physically open up a room to utilise existing space efficiently. 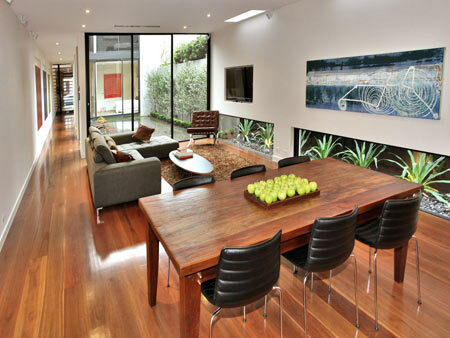 Here are some expert tips on making spaces appear larger around your home. By knocking down walls, you can let new light flood into areas that felt dreary and neglected before. However, it's important that you plan which walls you want to knock down and make sure that these are not load-bearing walls. Should you need to remove load-bearing walls, call in an architect or builder to ensure that the job is done correctly. While it's great to have a home that's unique, it's not advisable to remodel your property in a way that won't sell when it comes time to move on. 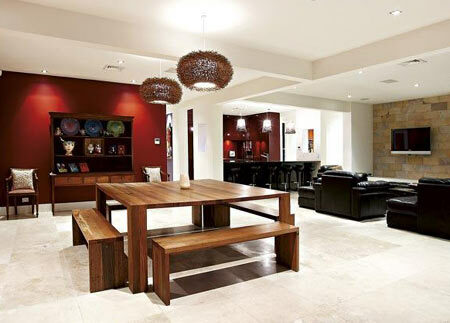 Make a home more open plan is a brave step, but if you do the job well, it can pay dividends both in terms of improving your home as a place to live in and add value for when it comes to selling it on. The trick is to invest your time and money wisely; get the finances in place to finish the job properly; think through the job carefully; and do your homework and do everything you can to make the property look as good as possible. There is a lot to consider when you think about going open-plan in your home; like whether you want to keep the original features of the room or make a modern fresh start, and whether you want to go for functionality or style. Although open-plan can be the ultimate in flexible and stylish living, there are some compromises required which you should consider before starting work. Losing separate rooms mean you will sacrifice some privacy, they can be harder to heat and noise echoes more. You must go with what suits your lifestyle and be brave; knocking down walls and radically changing your home is big step, but can be incredibly rewarding when the dust has gone and you're gazing around your new-look home! By following the same flooring pattern across different rooms, your line of sight is extended so it automatically gives a sense of more space. This works particularly well with laminate and vinyl flooring options. Beige, taupe and other neutral colours are the safest bet in small areas but if you want to be a little more creative, opt for bolder hues on one or two walls and keep the rest neutral, adding a light colour to the ceiling to finish the look. 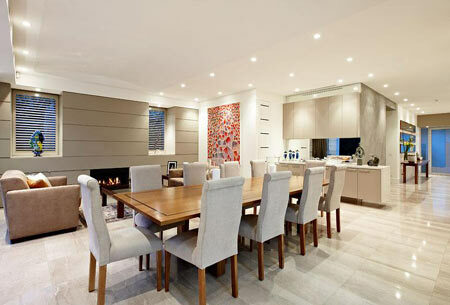 Use dark colours and patterns sparingly as you don't want to risk the area looking too busy and cramped. Make sure you get as much light as possible into a room by de-cluttering your window sills. Instead of curtains, opt for blinds and shutters and for extra privacy, sandblasted glass or glass film is ideal. There are easy ways to allow more natural light into a home. A skylight is one of the simplest and quickest ways to introduce more light, although a bit on the pricey side. A more affordable alternative is to use glass blocks or bricks. Glass blocks add style, ambiance and creativity to any room decor and can be bought a most home improvement centres. Additionally, they add more light to any room, are easy to clean and you won't have the additional cost of having to buy curtains, as you cannot see through the glass. Finally, if you're stuck for ways to make more space then try and use walls and other spaces as much as you can. Shelving, wall alcoves and other nooks and crannies can be utilised to create the extra space you need. 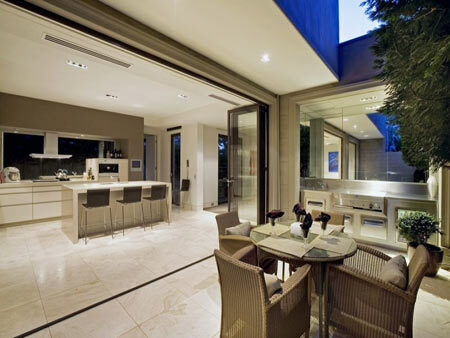 By fitting sliding doors or frameless glass doors along one entire wall, you can easily extend your living - or dining spaces - into the outdoors. Focus on letting the outside in has been a top priority for people building extensions and homes as gardens become more of an extension of the home itself. Like a living room outside! As people make the most of what they have, improving the garden is a good place to start as it's generally cheaper than building extra space and is probably on par with decorating, in that the results can be relatively immediate especially for maintenance work.